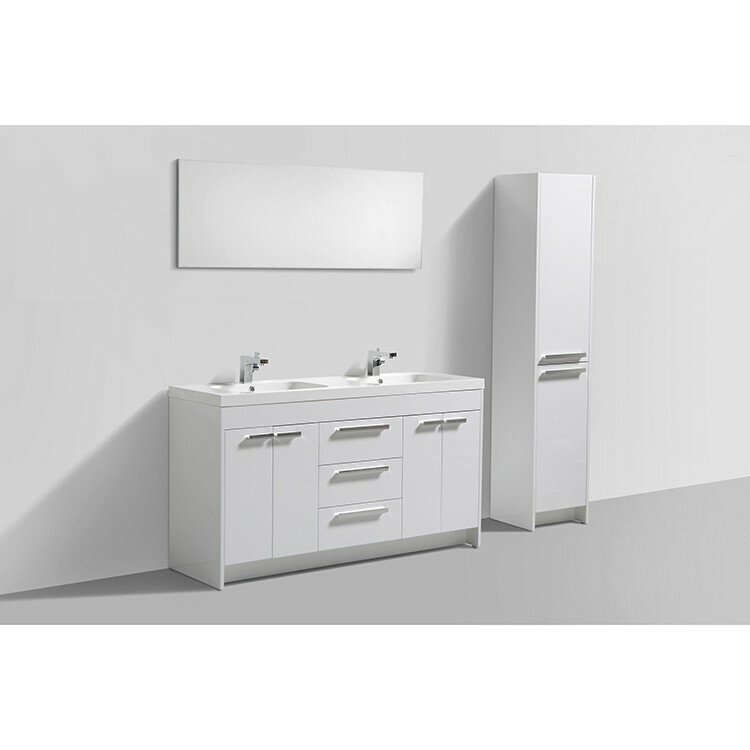 Eviva Lugano 60″ modern bathroom vanity with a white integrated acrylic sink is just what your bathroom needs. Its modern design makes it one of the best-selling bathroom vanities on the market today. The white integrated sink gives it a clean look with no required maintenance. If cutting-edge contemporary design is your style, then the Lugano vanity is for you – modern, chic and built to last a lifetime.